If you or a loved one is coping with cancer or a blood disorder, whether a new diagnosis, or a recurrence, we completely understand that this can be a frightening, life disrupting experience for patients and families. We know that you want to receive the most up-to-date, best possible care, provided by physicians, nurses, pharmacists, support staff and teams who are highly trained, skilled and compassionate, and who work in settings designed to meet all of your needs as efficiently as possible. We understand the importance of being able to offer cutting-edge clinical trials when that is appropriate. We also understand very well that cancer is not just a medical issue, but a financial one as well. There is no way around it: cancer care can be very expensive, and the best possible care also means providing that care without unnecessary added costs. 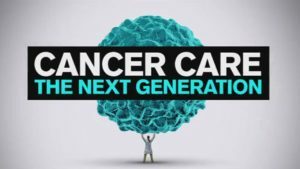 The National Cancer Care Alliance was established in 2017 by physicians and care givers who understand that these days, cancer care is evolving so rapidly that meeting all of these goals means working together in a national alliance designed to share knowledge, skills and resources. We are an organization of oncology practices from across the United States, currently numbering 16 practices with over 200 physicians, dedicated to providing the best possible care to patients with cancer and blood disorders. We believe that being independent of large hospital owned systems gives us the flexibility to innovate and to provide our patients with the best possible quality, compassionate care. We have developed systems that are designed to greatly reduce hospitalization rates, avoid hospital facility fees and hospital associated complications, and provide care that is more efficient with better results, and is less disruptive to your life, at a significantly lower cost. Oncology care is evolving at a remarkably rapid rate. The NCCA structure allows us to share expertise across the entire range of oncology care by using continuously updated diagnosis and treatment pathways. We hope that you will read more about us on this site. We'd be delighted to have you contact us for any additional information or questions, and that you will consider talking with your personal physician about the possibility of referring you to any of the NCCA practices.